The filming of the second series of Poldark is underway in Cornwall, and we’ve got the photos to prove it! Cast and crew have been spotted at the harbour in Charlestown near St Austell, as well as Botallack mine and St Breward – all a short distance from Port Isaac! The scenes have got tongues wagging as Demelza, played by Eleanor Tomlinson, is sporting an obvious baby bump. 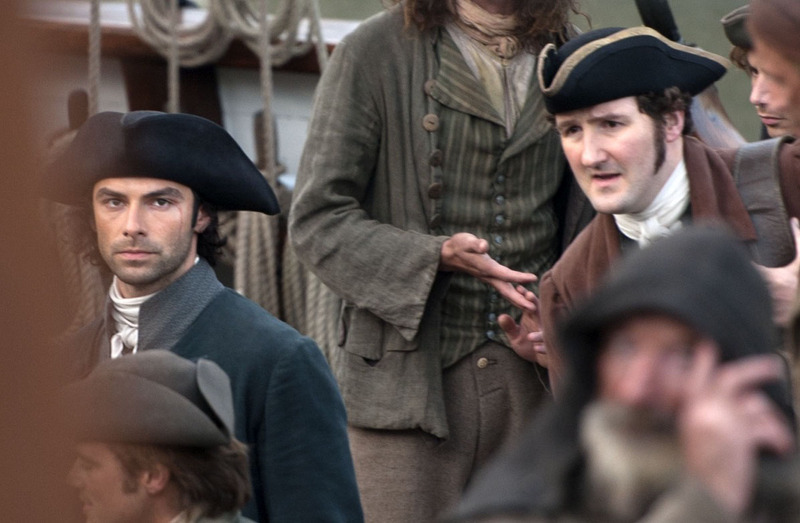 Could she be carrying Ross Poldark’s second child, we wonder? 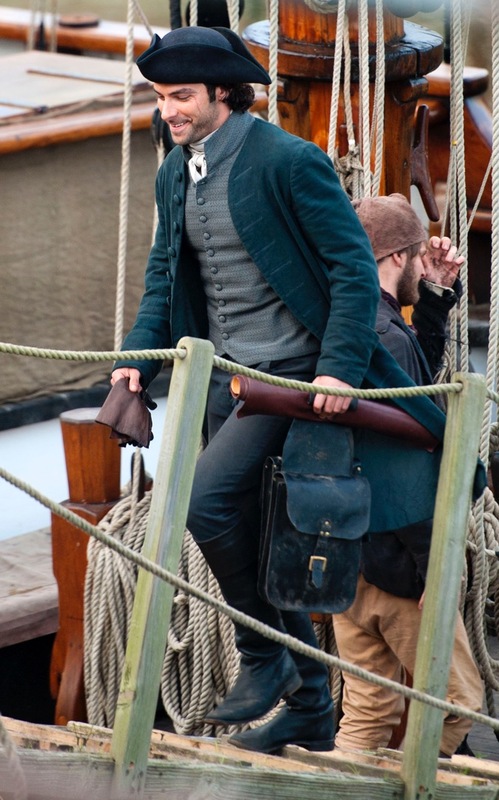 Aidan Turner, who plays the eponymous heart-throb, has revealed that filming will continue until the beginning of April 2016. Fans can expect to see the new 10-part series shortly afterwards. If you can’t wait until then, you can always head down to Cornwall to see the sites for yourself. The filming locations show the county in all its glory and are well worth a visit. If you would like to stay in the Beach House, please do not hesitate to get in touch with Colin today. Picture by Mike Thomas 22/010/2015. The cast of the Hit series Poldark filmed at the Historic Cornish harbour of Charlestown nr St Austell,Cornwall.”Ahoy there” Adian Turner aka Ross Poldark shoots scene’s on a 18th century tall ship. 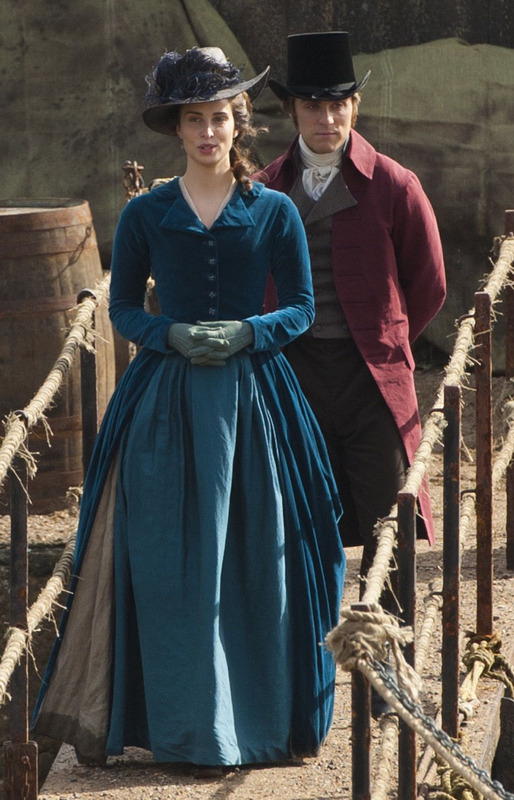 The cast of the Hit series Poldark filmed at the Historic Cornish harbour of Charlestown nr St Austell,Cornwall.Pictured Heida Reed aka Elizabeth in Poldark.